Pain, a four letter word that many identify with as being hurt, let down or unfair. Purpose, a word that all living things have and with faith, skill and patience most find. 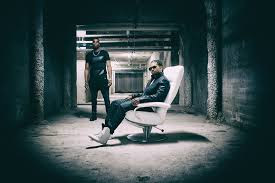 Recording artist S. Dot the Scarface Kid and J-Artz of Indie rap group Teem Coolin gives both their insight on why “Pain Creates Purpose.” Pain creates Purpose is the group's latest ep that is 100% personal. With songs like (My legacy, War Cry, I Am King) both emcees explain in detail how they overcame family burdens, individual sacrifices, social issues, and when all else fails stay true to self and each other. This project has the ingredients of nothing less than a statement for Teem Coolin with their wordplay, production, and quality engineering created to remind their music peers and hometown that Teem Coolin is not a fly by night movement but a force to be reckoned with.